Frustrated by her own personal and professional experiences with the lack of racial and ethnic diversity in the teacher force, Professor Bianco created the Pathways2Teaching program. Pathways2Teaching is an innovative, pre-collegiate program designed to encourage students of color to explore teaching and related professions. Upon successful completion of the 2 yr. program, high school students earn 9 college credits through the CU Denver while engaging in a rigorous curriculum designed to prepare them for college and provoke critical thinking about educational justice. Currently in its 8th year, hundreds of students have completed the program. Nearly 45% of our students are male. The result of our students' successes and the implications for rethinking how we promote the teaching profession as an act of social justice is resonating around the country. 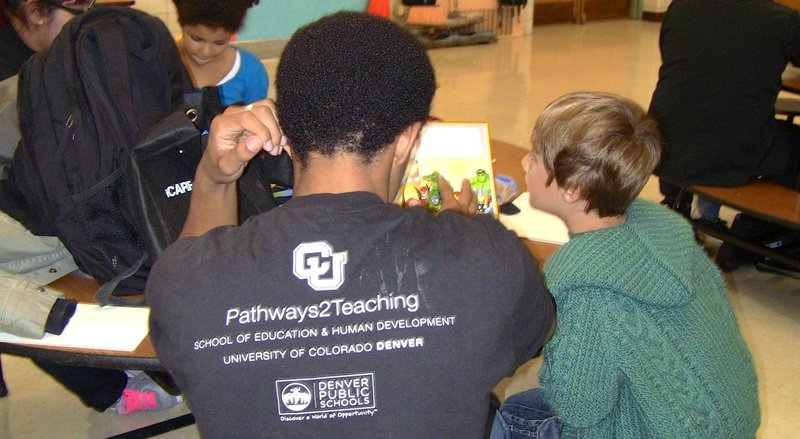 Although the program originated as a collaboration between Dr. Bianco, CU Denver, and the Denver Public Schools, Pathways2Teaching is quickly becoming a national model for a grow your own teacher program. For information about how to bring Pathways2Teaching to your university, college or school district, please complete the contact form. Russell, N., Viesca, K., & Bianco, M. (2016). Black female adolescents and racism in schools: Experiences in a “post-racial” society." The High School Journal, 100(1), 4-25. Tandon, M., Bianco, M., & Zion, S. (2015). Pathways2Teaching: Being and becoming a ‘Rida.’ In Sleeter, C. E., Neal, L. I., & Kumashiro, K. K. (Eds.) (2015). 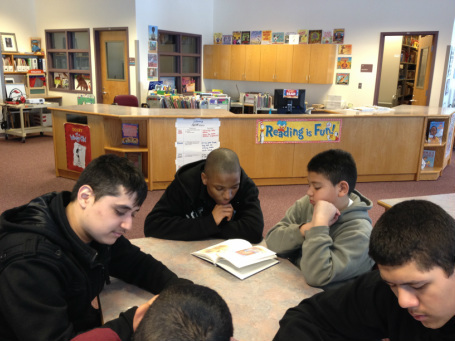 Diversifying the Teacher Workforce: Preparing and Retaining Highly Effective Teachers. (p.111-125). New York: Routledge. Invited Plenary Session - Aspiring Teachers of Color: Strategies to Expand Pathways to the Teaching Profession in Urban Schools Pathways2Teaching: Addressing a Demographic and Democratic Imperative to Diversity the Teacher Workforce. 6th Annual National Summit Great Teachers for our City Schools, Denver, CO.
Mitchell, K., Russell, N., & Bianco, M. Black Female Adolescents and Racism in Schools: Experiences in a “Post-Racial” Society. American Education Research Association (AERA), 2013, San Francisco, CA. Bianco, M. & Mitchell, K. Pathways2Teaching: Diversifying the Nation’s Teaching Force. Special Session Breaking Barriers: The Quest for Excellence and Postsecondary Success Among School-Age Black and Latino Males. American Education Research Association (AERA), 2012, Vancouver, BC. Bianco, M., Davis, J., & Williams, A. The Power of Our Presence: The Need to Recruit Culturally Competent G/T Teachers of Color. National Association of Gifted Children (NAGC), 2012, Denver, CO.
Bianco, M. Pathways to Teaching for Diverse Urban Students, Teachers of Color and Allies Summit. November 2010, Boulder, CO.